Col Stringer is the son of a professional hunter, born in the rugged desert country of Australia. During his life in the Northern Territory Col was awarded the Mariner Fishing Writer of the Year award (Australia) (1979), won a Swedish Gold Medal for a world record shark capture, and was featured in two outdoor documentary films for Australian and American television. Col also successfully hosted his own outdoor and fishing television program for four years and has written 10 books on fishing, hunting and wildlife. His book about a true story of a giant rogue crocodile has become a best seller. His business ‘Fishing and Outdoor World’ was hugely successful, leading to improvement in wildlife safari and wildlife photography. Col and Jan Stringer pastored in Darwin before being invited to the USA (1979) travelling and speaking. He then pastored a church in California, returning to Australia in 1982. They took over a struggling church that blossomed into the largest church in the state of the Northern Territory. The church, under the Stringer’s leadership, hosted such internationally known ministries as Kenneth Copeland, Dr Jerry Savelle, singer Cliff Richards. Several struggling business people have become multi-millionaires using principles gained from the Stringer’s Bible teachings on goals, dreams, overcoming against the odds etc. 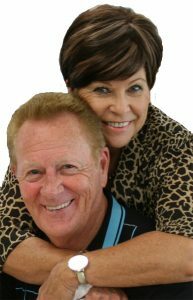 Col and Jan Stringer minister with a powerful anointing and are in great demand to speak at churches and conventions all over the world. Col’s unique background of wildlife and humour have won for him the title of “Pastor Crocodile Dundee”. He is successful author of 10 hunting/fishing and 20 Christian books, with total sales of over 300,000. He has spoken at The Great Hall in Federal Parliament as well as Parliament House Brisbane and has been invited to speak at Parliament House in Sydney this year. Col has been nominated (twice) for the honour of Australian of the Year in 2003 and again in 2010. In 2004 Col had an earned doctorate conferred upon him by a University in Florida USA in recognition of his research and writings on Australia’s Christian Heritage. Col’s best selling books “800 Horsemen who changed the world” and “Fighting McKenzie-Anzac Chaplain” were listed as number 12 and number 29 in the Australian Broadcasting Commission’s 100 All Time Favourite Books in Australia. While Australia’s Christian Heritage has been classed, by one pastor, as “the most important book I have ever read (outside the Bible)”! The Stringers travel extensively speaking throughout much of the world. Col has spoken regularly for Joseph Prince at New Creation Church in Singapore as well as for Brian Houston at Hillsong, Kenneth Hagin at Rhema USA, Kenneth Copeland, Jerry Savelle and Happy Caldwell. He serves on many ministry boards as well being past Australian President and a member of the Board of Trustees for the International Convention of Faith Ministries International. Over fifty ministers in many nations relate to Col and Jan as their pastors.